Religion and gay marriage: Are conservative Christians the new queers? 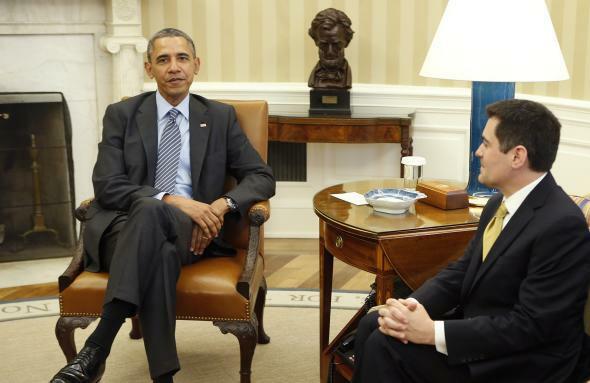 Russell Moore at a meeting of faith leaders with President Obama, April 15, 2014. Yesterday I wrote about the decline of anti-gay religion. The context was the recent Faith Angle conference at which speakers and participants discussed the shifting views of Catholics and evangelical Protestants on homosexuality. The one speaker who clearly reaffirmed his belief in the sinfulness of homosexual behavior was Russell Moore, the president of the Southern Baptist Ethics and Religious Liberty Commission. Even he acknowledged that his brethren were becoming more realistic and modest in their approach to the issue. One thing I didn’t write about was Moore’s cultural view of the anti-gay resistance. I’m using the term anti-gay here to mean opposition to homosexual behavior, not to homosexual inclination, since Moore would certainly say that he loves the sinner, gay or straight. What’s striking about Moore’s perspective is that he no longer sees gay people as the deviant minority. The deviants, in his view, are Christians. I don’t mean that he thinks there’s anything wrong with being Christian. I’m using the technical definition of deviance: divergence from the norm. The new norm is acceptance of homosexuality. Those who disagree are, in Moore’s language, freaks. Christianity, even in some of its most basic claims, is going to seem strange, is going to seem freakish. And I say we should embrace the freakishness of Christianity, because it enables us to talk clearly about what really matters. I would want a presidential candidate who understands the public good of marriage, and I want a presidential candidate who is not hostile toward evangelical and Catholic concerns about those things, and I would want a presidential candidate who is going to protect religious liberty and freedom of conscience. That’s how you operate when you’re a minority. You look for sympathy, tolerance, and the freedom to be different. It’s what gays have been asking for all along. Now conservative Christians will learn what that’s like.